﻿﻿ The Company Profile of Fu Sheng Optical Industry Co., Ltd.
Fu Sheng Optical Industry Co., Ltd.
Our major products have sunglasses, sports glasses and safety eyewear. Providing updated design, stable quality and competitive price are our promise to customers. We have full set of testing machines to test the optical quality and impact resistance to ensure our products meet the regulation requested by customers. New designs are available monthly. Besides our own design, customers’ idea and designs are welcome, too. In addition to the facilities to produce frame/temple, we can make lenses in house for quality control and cost saving. 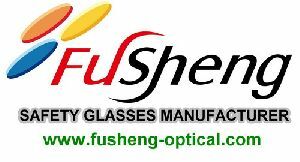 Company : Fu Sheng Optical Industry Co., Ltd.
Copyright©2009 G.T. Internet Information Co., Ltd. All Rights Reserved. .